What lad doesn’t love a good kick about. 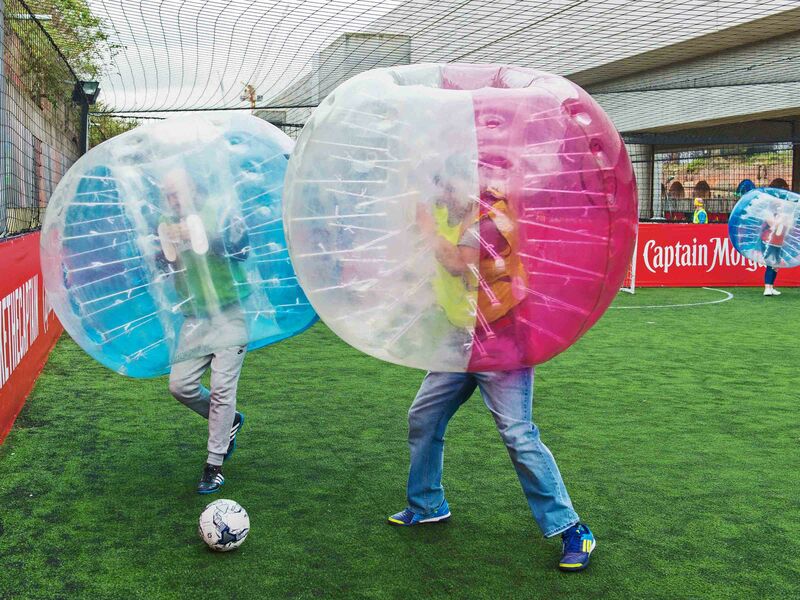 If you’re looking to turn your 5 a side game into a hilarious session of bumping, bouncing and competition, then a Milton Keynes zorb football stag do is the perfect choice. Although your main focus is to score a goal or two, you might be a little distracted and put off balance from falling over your own feet and bouncing all over the place so make sure you and the boys are up for the challenge and most importantly a few laughs. It’s still skilled and your refined footy tricks will definitely come in handy when you’re feeling a little competitive. 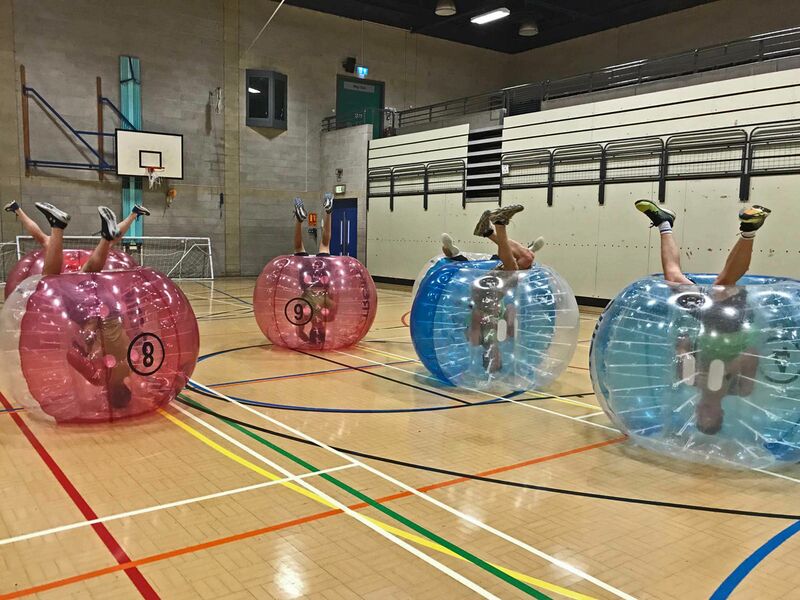 If you’re someone who is a footy fanatic, then this Milton Keynes stag do bubble football is perfect for you! It doesn’t matter if you have the similar skills to Lionel Messi, or the last time you touched a football was on the school playground, this activity will have everyone laughing. 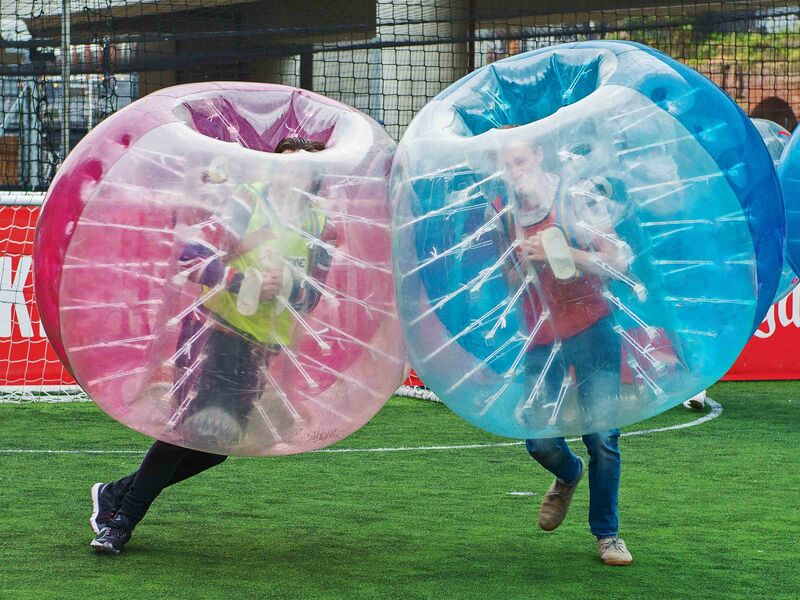 Everyone within the stag group will be strapped into individual bubbles that wrap their entire bodies with a bouncy inflatable. An events co-ordinator will be on hand to tally the scores, create a bit of friendly competition and catch any fouls, so keep it friendly fellas. 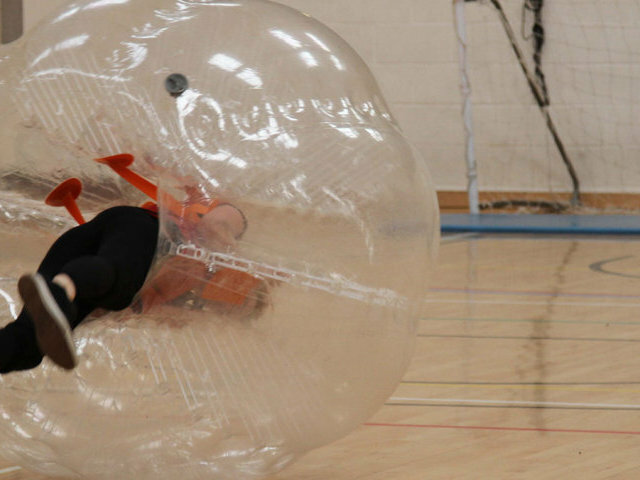 All of the equipment is also provided so you don’t need to worry about a lack of facilities on your Milton Keynes stag do bubble football activity. Most of our venues have changing facilities as well and even a small bar so you can grab a cheeky beer before you leave. 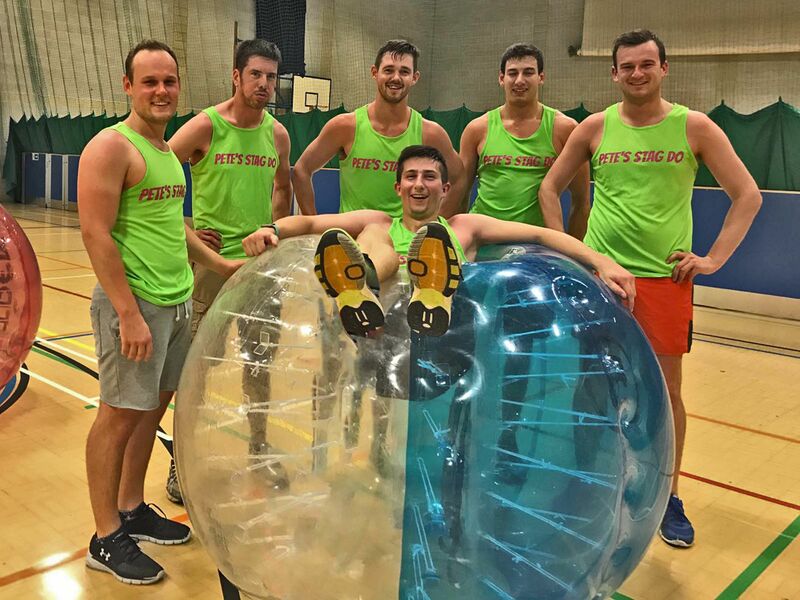 This fantastic Milton Keynes zorb football stag do is available across the UK, and with most of our venues being close to the city centre it means easy travel to and from the event. So, if you’re thinking about Milton Keynes there are plenty of fun things and places to explore. Milton Keynes is booming with new bars, clubs and pubs which is surely to make your last night of freedom incredible. 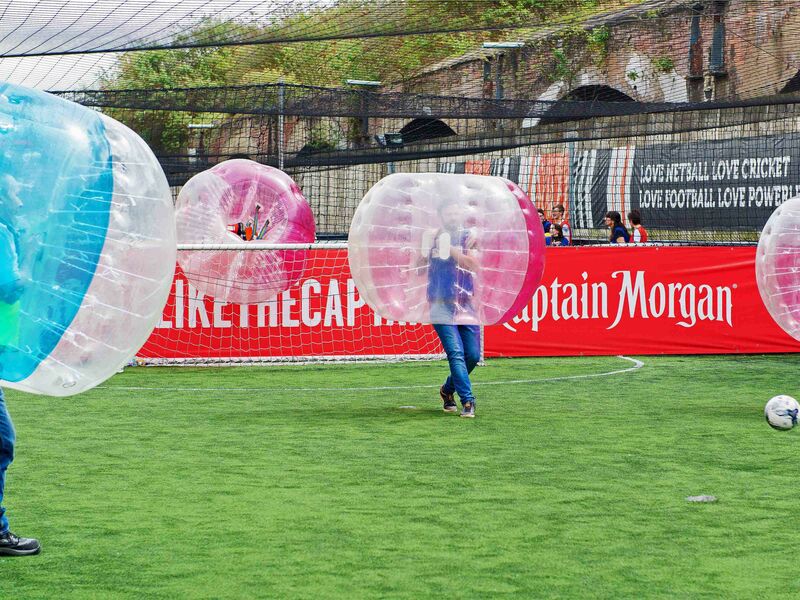 A challenging & fun 2 night Milton Keynes Zorb football stag weekend offering a helpful local bar guide, Zorb football ­activity ­and nightclub ­entry.